Having only heard good things about Kyle Defoor, I was eager to take one of his classes. So I jumped on the chance to make it out to this class in Bethlehem, having not been able to make it to one before due to schedule conflicts. 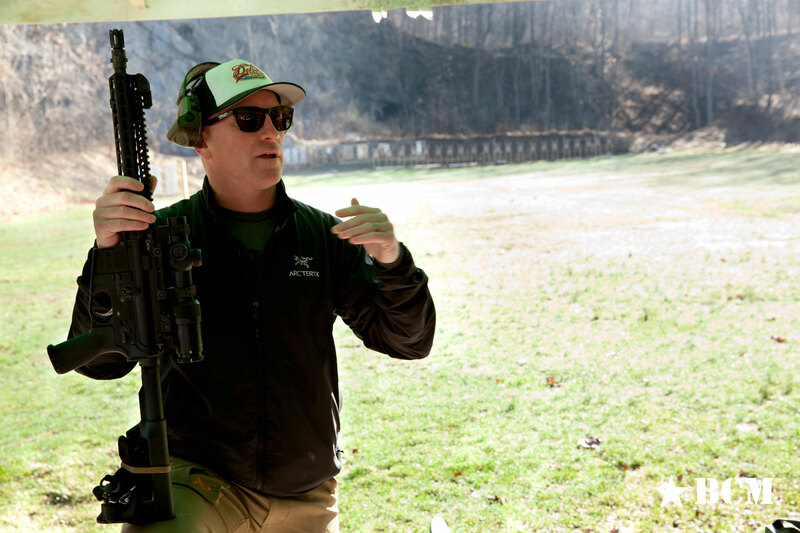 While I am not new to the deployment of the AR15 platform or tactics, I go to every class with a completely open mind to the instructors techniques. The last class I took was with Bennie Cooley and that was some months ago, so I was itching for a class to refresh my technique and critic what I was doing. 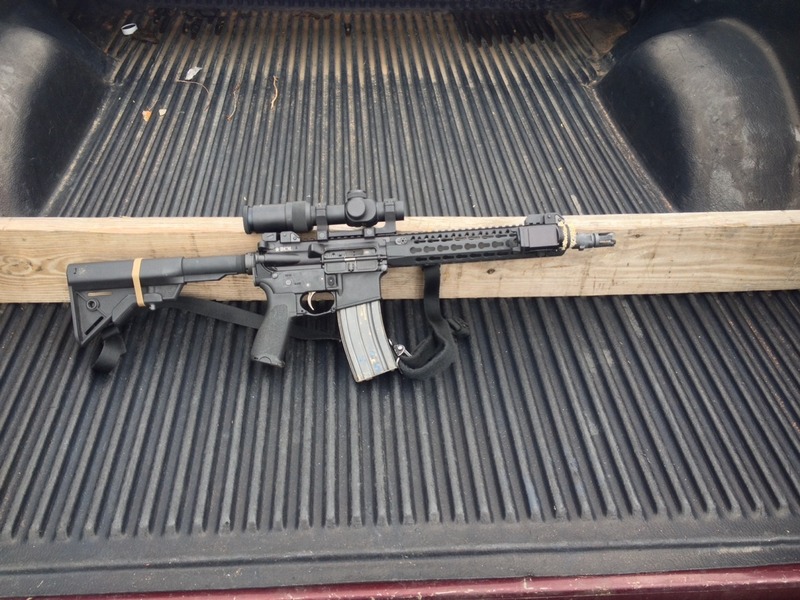 I also had built a new (to me) rifle so I wanted to put it through its paces. Having done a good bit of shooting with Sayoc Tactical Group (see Warrior Pistol AAR) and knowing that Kyle has an extensive history with them I would be tracking a lot of what he was teaching. Which was exactly the case since a lot of what Kyle taught was in line with concepts and methods that I was already familiar with. The class was just as much about proper mindset as it was about the AR15 and overall tactics. 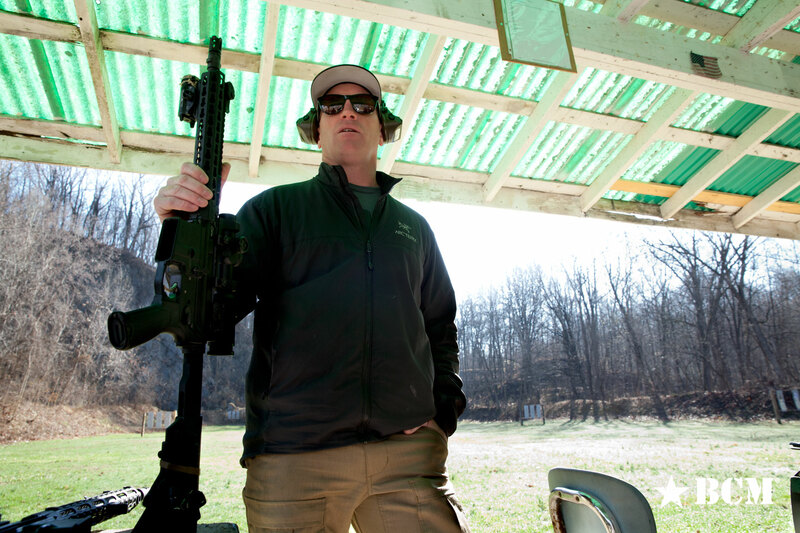 My goal for this was to put my ability to run a rifle against Kyle's teaching style and to take away anything that I could apply to my daily tactics on the job. 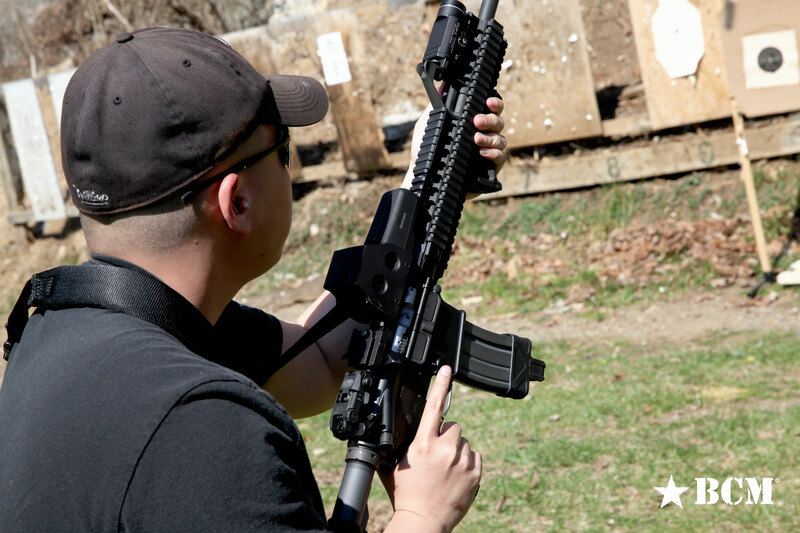 Kyle started off the first day with a briefing and talk about rifle setups, including the rifle he was running (a BCM SBR). 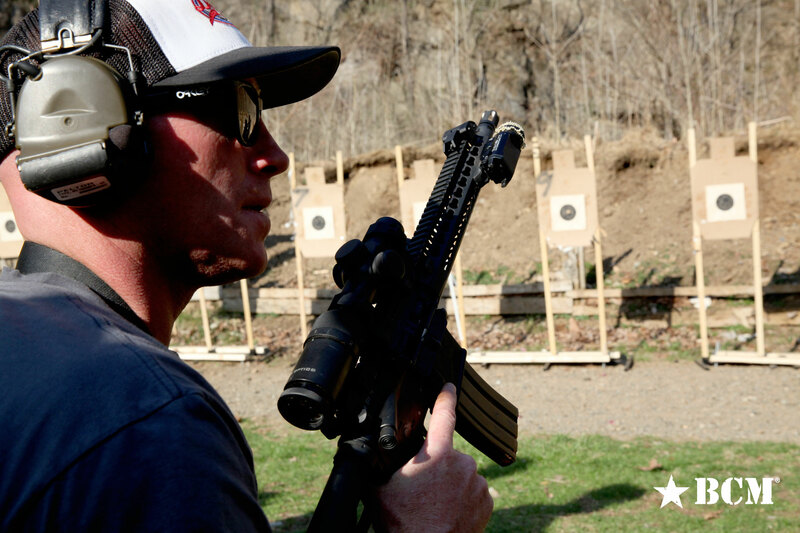 Kyle explained what a rifle needed, why and how he came to this knowledge through experience during his time in the SEAL teams. He talked about vertical grips, triggers, barrels, stocks and optics, what each of them should do for you, and what he uses for his rifles. Kyle got into loading and why press-checking by feel is important, something most instructors do not even touch on. 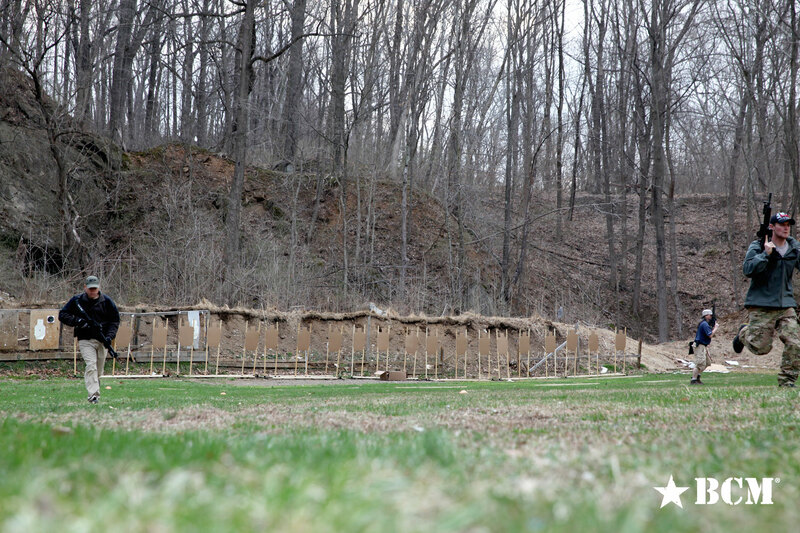 After the sun had moved out of our way we got into confirming zero on the rifle we would be running throughout the class. During this process we had some hiccoughs since it is inevitable that some students will show up with rifles they have either never shot or never zeroed. Kyle spent the morning help students zero their rifle at 100 yards. 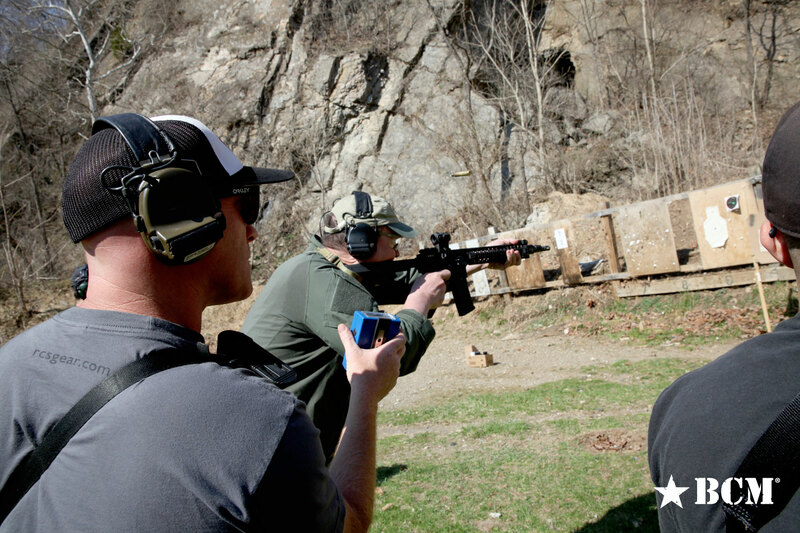 He explained to us how combat effective the 100 yard zero is and reinforced that with applicable personal experience. Some students had a hard time getting a good 100 yard zero from prone, some due to optic mounting issues, some due to how new their rifle was. We did this until lunch time and took a break. During lunch we talked about training and exchanged stories. After lunch we began to cover shooting positions. 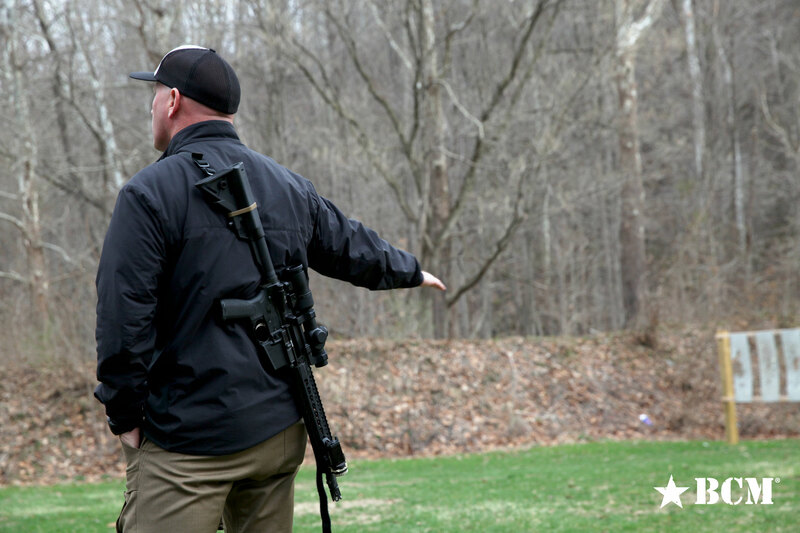 Kyle had been keeping track of students and how they ran their rifles during the zeroing process, he gave everyone cues on mindset and those who picked it up ran with it. 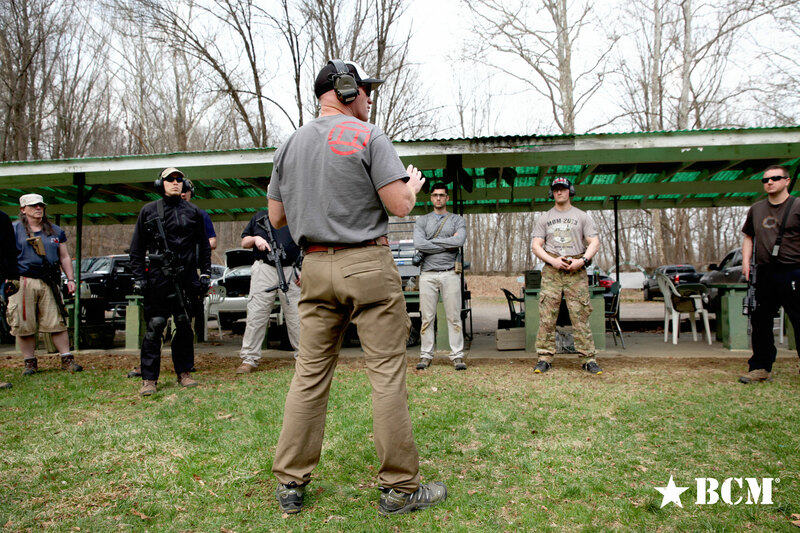 He had seen an issue with the way some of the students were shooting and wanted to cover some fundamentals before he pushed the class further. Kyle demonstrated different shooting positions and then had us perform them while getting good hits on target at 100 / 50 yards. He also went into detail about proper reloads, natural stance (natural point of aim) and how to properly hold a rifle in "low ready" which would be with the magazine touching your body. He also talked about "high port" which is having the optic touch your body and what advantages it has over the low ready position. 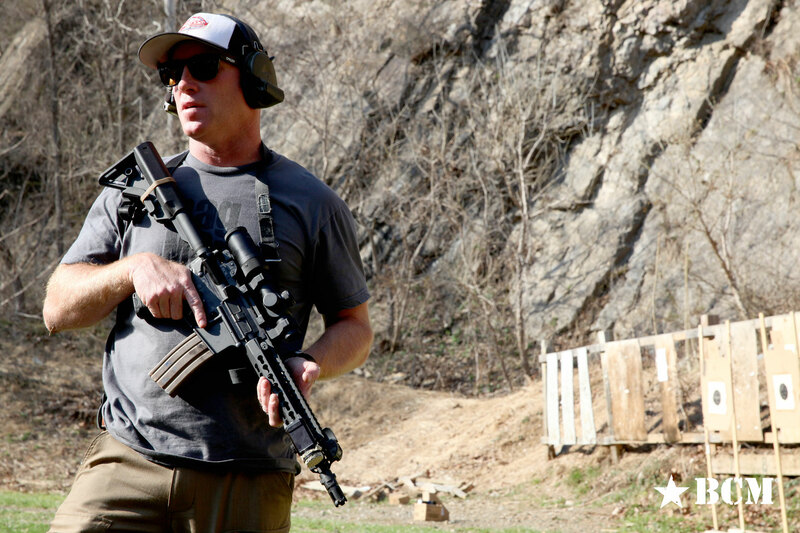 Kyle talked about landmarking with optics and how certain optics had this built into them, like the Eotech, ACOG and some variable magnification optics have mil hashes making it easy to determine distance. We got some ammo together afterwards and went off to the 7 yard line for some shots from standing positions (high port/low ready) on a timer since shooting close without a timer is just turning money into noise; that is not properly tracking performance metrics. 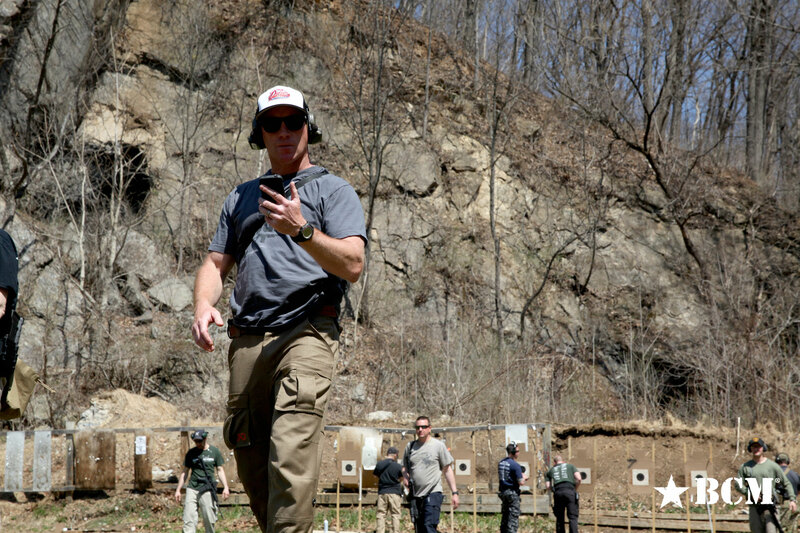 Kyle went over holdover at close distance and demonstrated each of the timed drills we were going to run. We then lined up and ran on timer low ready, high port and reload. Most students were sub 1 second from high port and low ready, even the reload times were impressive. During the 7 yard timed shot drill Kyle had seen a few students having issues with reloading and clearing of failures. 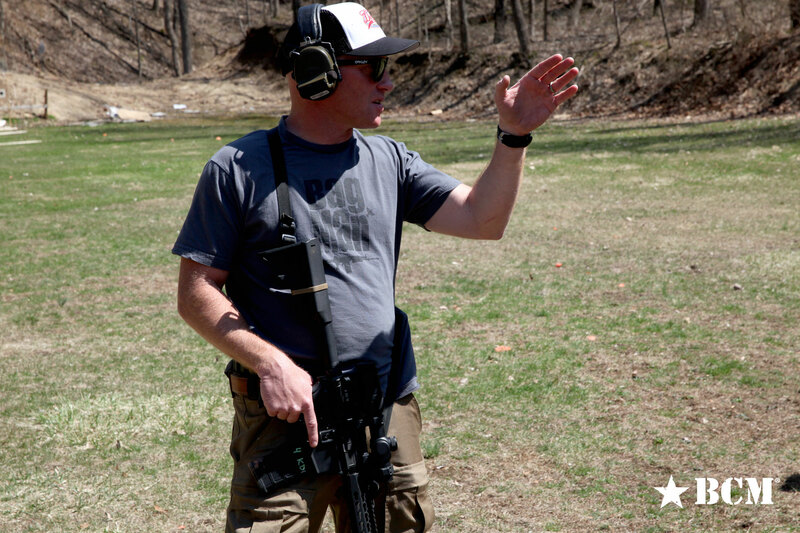 Kyle went over clearing failures at length, explaining why they happen, what causes them and demonstrating every variation he has seen on the range. 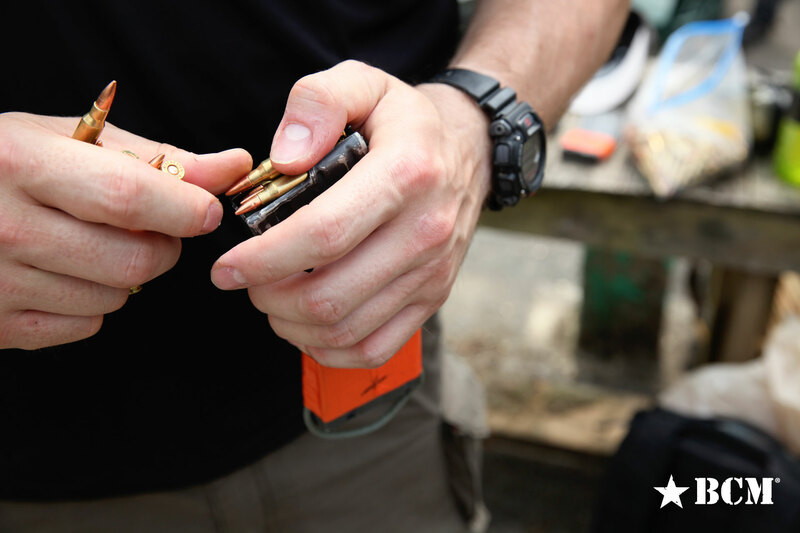 There was a few issues that a few students came up against, specifically the type of malfunction that puts a bullet over the carrier and how to clear it effectively. One of the students had a bullet separate from the steel case during this, spilling powder inside the chamber and the internals. At that point Kyle called it a day since that type of malfunction requires a thorough cleaning. Kyle started off the day with a morning talk covering some of what we did on Day 1 and about running with rifles. Kyle not only explained the reason behind it but how applicable it is in different situations. 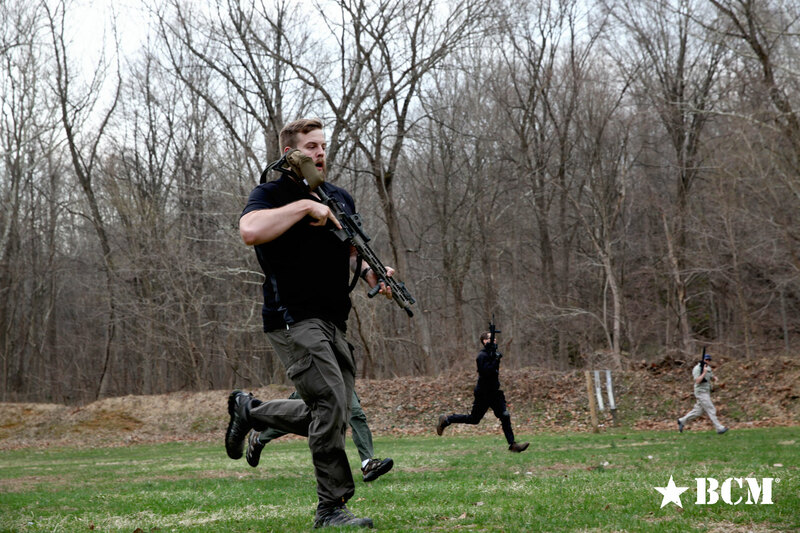 Kyle gave us examples and explained through his experience running with guns in active environments. 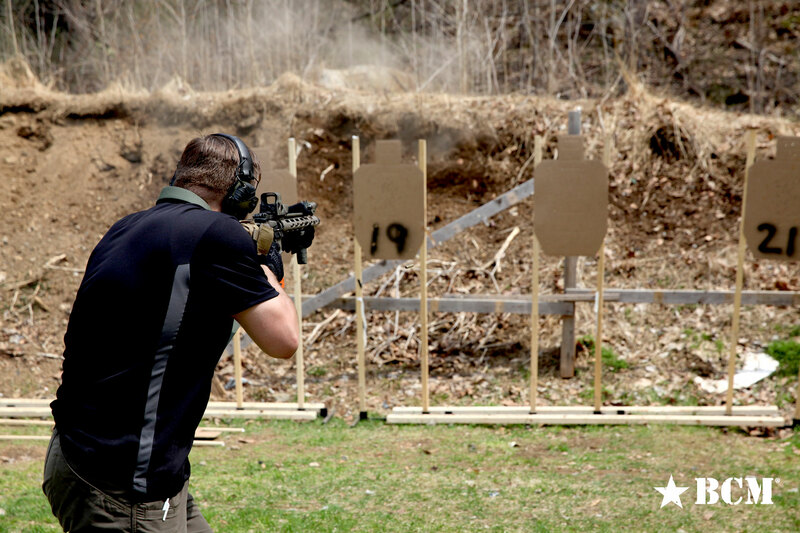 Kyle went over the advantages of muzzle up as opposed to muzzle down, including safety concerns. "Steady upward pressure on the safety." After Kyle explained it we ran it dry, four at a time 100 yards to 10 yards and back, to make sure everyone was up to speed and no one was lagging behind since it is very easy to muzzle those in front and to your side. The range design required those running back towards those who were waiting at the benches, so safety came first and Kyle wanted to see everyone moving safely and effectively. Once Kyle was satisfied we loaded up and ran it live. Kyle made sure we were running it safely by going running with every group. This made for a good cardio workout for him as well as those of us who ran the drills more than once. Kyle took the time to let those who needed to catch their breath do so and during which he explained some serious movement drills. Kyle got into methods of communication and distance apart that was required during team movement. There are a lot of concepts involved and Kyle explained them thoroughly enough that any and all questions students had were answered. I am not going to explain the drills in detail but to me, just the moving and shooting portion of the class was worth the price of admission. We posted up fresh targets and got into close range strings of fire for time. 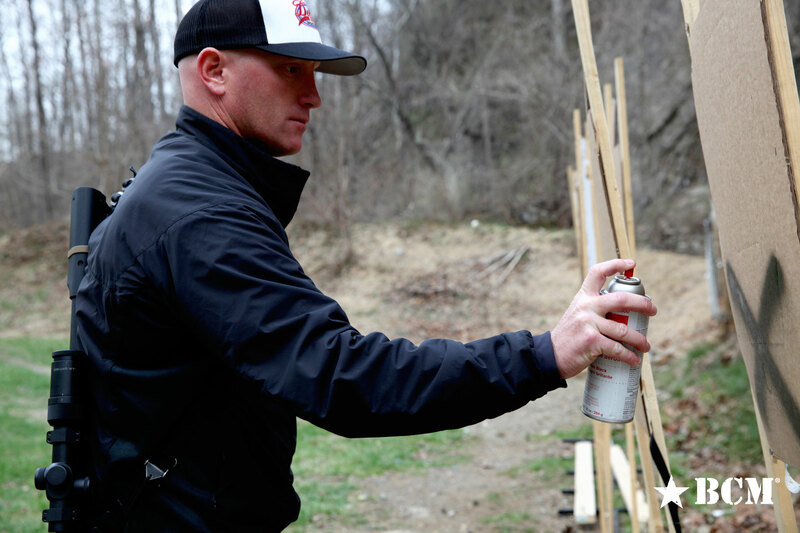 Kyle explained the methods and concepts behind close range strings of fire and what times were required (for personal standards) at close range distances, including split times of shot strings. 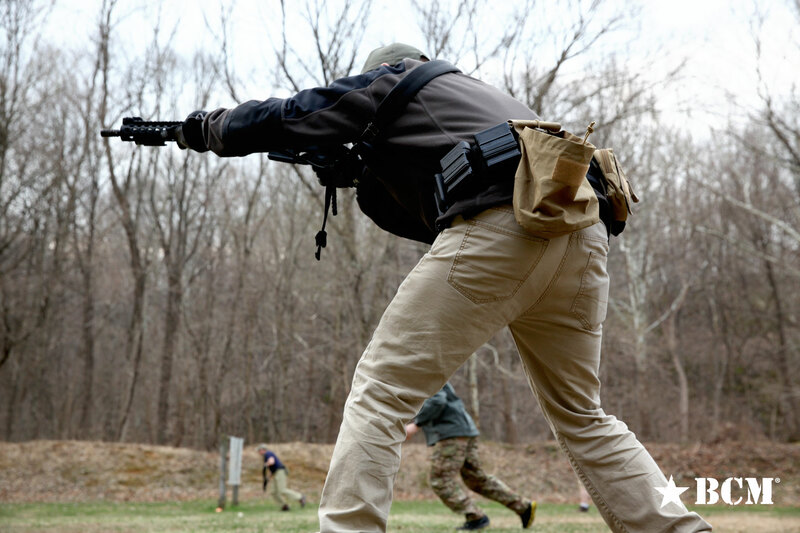 Then we got into CQB distance doorway and lateral movement drills. This was applicable to the LEO's in the class, since much of CQB distance engagements would be inside doorways or inside structures, this was very important in my opinion and Kyle got into the meat of the subject in detail. After we did CQB movement, we broke for lunch, during which we talked about what we did and Kyle answered any question the students may have had on the topics covered. After lunch Kyle got into barricades, situations and circumstances that would require you to utilize them and application. 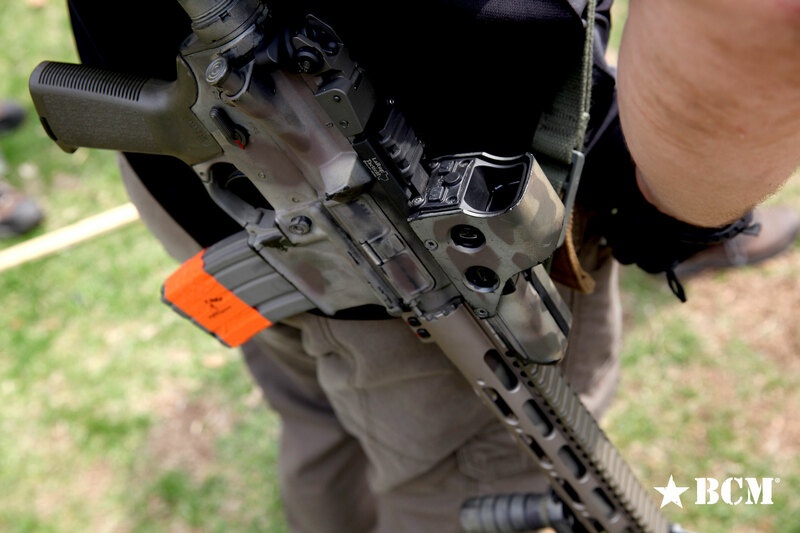 He covered rifle setups in particular regarding barricade usage and placement of vertical grip and rail while shooting from a barricade. Kyle had us running some drills which incorporated movement, stance, position and landmarking on man size (torso) steel targets at 50 yards. Basically a culmination of the class's instruction in one drill. We did this until we were content and called it a day. We spent a good bit of time afterwards picking Kyle's brain in an intensive Q&A session. 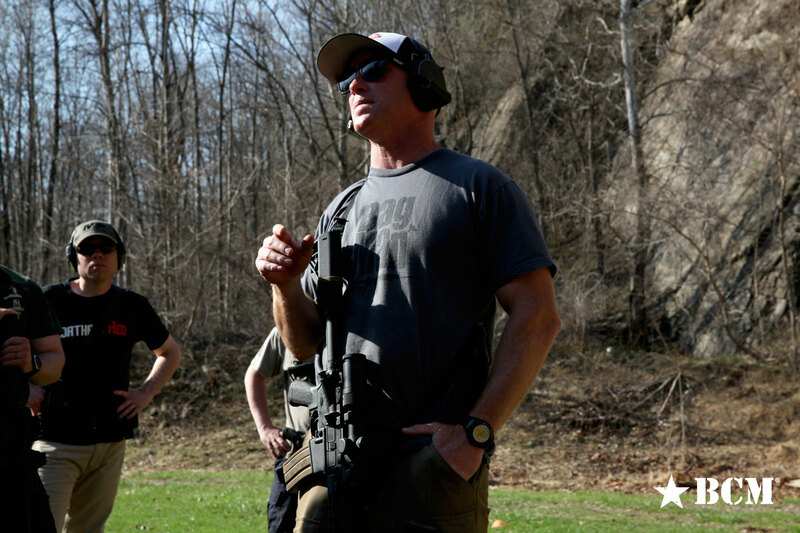 He was open to questions covering not just rifle work but pistol work, gear, tactics and even what other instructors he suggests taking classes from. Kyle made sure we had all the answers we needed before we went on our way. Kyle does not teach that many open enrollment classes a year, so I could not pass up the chance to take one, especially one that did not require a plane ride. 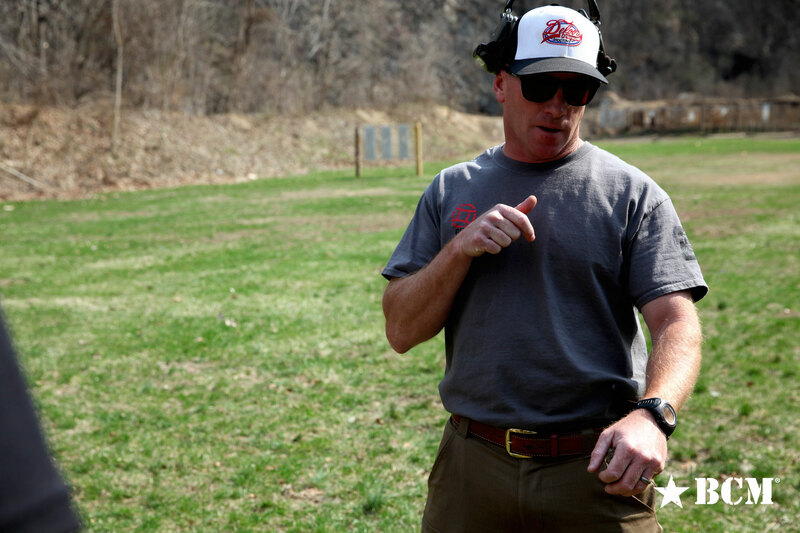 Kyle made it very clear what he taught was based on his personal experience and from the experience of those who work with firearms on a daily basis and that was his intent with his instruction. 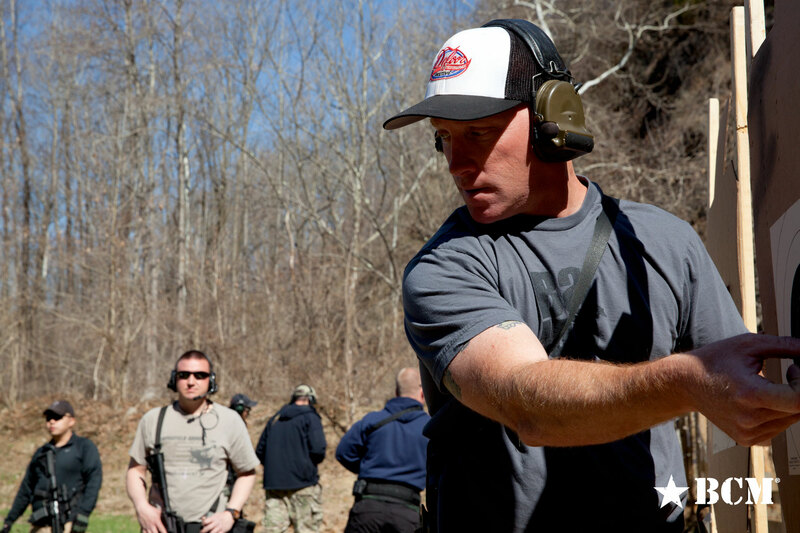 For those of us who do work with firearms on a daily basis the knowledge passed on in this class was beyond measure. Kyle did not gloat or boast about his accomplishments, he simply stated the factual basis from which he pulled his information and related it in a way that was applicable to the students, LE, MIL or weapon carrying citizen. His demeanor as an instructor was humble and firmly rooted in reality. He did not do a lot of speculation or self congratulation for his accomplishments. He provided us with the knowledge we sought after and articulated it in a way that all the students could understand. The class consisted of many different levels of competency and experience. Kyle handled each student's ability and level of proficiency very well and made sure to test each student to their own level without putting all the students in one category. I will definitely be taking more classes with Kyle in future and I totally agree that he is one of the premiere instructors in the industry. While I did not touch on it in length, Kyle included mindset in every aspect of his instruction. He made sure the students understood that there is a reason everything was done the way it was and that working with a rifle, pistol, blade or otherwise needs to be done with intent and he taught to that effect. Check out his classes under Alias, his webpage - www.kyledefoor.com. Check out this AAR from another student on M4C. Lastly, I'd like to thank Jon Chang, CCO @ Haley Strategic Partners, for taking the photos I posted in this AAR. (All photos are exclusively his and used with his permission) He did the lens work so I could participate in the class without having to fumble with a camera and a rifle at the same time.